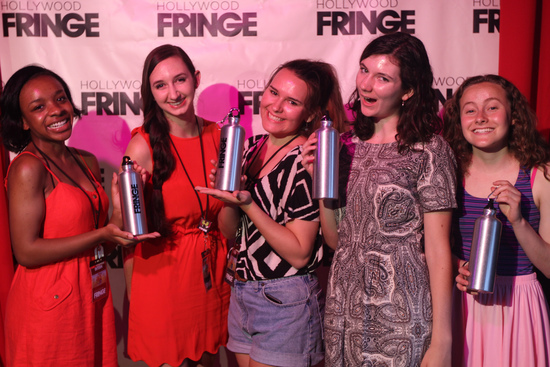 We are looking for smart, motivated individuals to help the Fringe staff mount the 2016 Hollywood Fringe Festival. It’s a big job but it’s also a very rewarding one. Some of our past interns have even moved on to become Fringe staff. To apply for any of these internships, send a cover letter and resume to our Volunteer Director, Stina Pederson (stina@hollywoodfringe.org). Deadline to apply is April 24th. Applicants are encouraged to watch an episode or two of FringeTV 2015. Must be 18+. Interest in film production, including camera, sound, lighting, and script supervision. Flexibility, excellent problem-solving skills, and the ability to take direction. Strong verbal communication skills a must. Willingness to perform a variety of tasks and eagerness to participate a must. Should have proficiency in Google Docs (especially spreadsheets). Ability to bring/use personal laptop on the job a plus. Production experience, particularly with camera work, a plus but not required (note prior experience in application and include examples via files or links if available). Intern will directly assist Hollywood Fringe staff in the production of FringeTV by performing a variety of production tasks in a fast-paced environment. Work may include making sure the team stays on schedule, helping set up shots, conducting interviews, running sound, taking photos, and more. 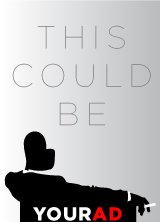 Intern will act as a script supervisor, assistant director, and production assistant. There will be opportunities to use the camera and give creative input. Intern will assist by providing comprehensive visual coverage of the festival (with photos and video), both independently and according to a pre-set schedule. Intern will also assist with a variety of daily tasks like cleanup and errands. Intern can expect to gain hands on experience in film production and leadership by working in various production roles. Intern will learn about camera equipment and have the opportunity to use equipment. Intern will see direct results of efforts as FringeTV goes online during the festival. End of May through June, 15-20 hours per week. Hours will vary from early morning to late night. Intern will work directly under the FringeTV Director. Volunteers are the lifeblood of Fringe! Applicants should be excited to work with festival volunteers and learn the ins and outs of the Hollywood Fringe Festival. Must be 18+. Specific desire to be involved in the festival on a day to day basis is a must. Background in customer service/administration desired. The ideal candidate possesses the ability to lead by example and understands having fun within a professional context. Ability to keep a level head in the midst of great fun and confusion. Intern will help plan and run volunteer events, such as volunteer training. Volunteer management, deployment, and supervision in festival social space and at events. Intern serves as a point of contact between Hollywood Fringe staff and other volunteers. Intern will be trained and should be prepared to jump into various areas, such as setting up and keeping tidy the social space, staffing the Fringe Shoppe, and promoting the festival along Theatre Row. Intern can expect to gain experience in management and administration. Intern will receive hands on festival experience and become well-versed in all aspects of the Hollywood Fringe Festival. Intern will have a lot of fun. Some training and remote planning mid-May to end of May. 25-30 hours a week in the month of June. Hours will vary from morning to late night hours. Intern will work directly under the Volunteer Director. Special events make the Fringe life worth living. Applicants must be outgoing, organized, and able to handle large crowds and loud noises. Must be 18+. Specific desire to be involved in late-night Fringe Festival events is a must. Background in customer service is a must, experience working at large events is preferred. DIY skills a major plus. Collaborate with Hollywood Fringe staff on ways to decorate and theme major Fringe events, including Opening Night, Fringe Runway, Fringe Prom, Fringe Rocks, and Closing Night. Assist staff with sourcing, making, and assembling event decor. Assist with day-of decoration, set-up, strike, and management of events. Assist in managing event volunteers. Intern serves as a point of contact between festival staff and other event staff. Intern will gain experience in major event planning and management for crowds of up to 700 guests. 5 hours a week in the month of May (remote brainstorming). 10-25 hours a week in the month of June (will vary depending on event schedule). Hours will vary from afternoon event set-up to late night hours. Intern will work directly under the Outreach Director.